Property Location Located in Odessa, Motel One is convenient to Ellen Noel Art Museum and Presidential Museum and Leadership Library. 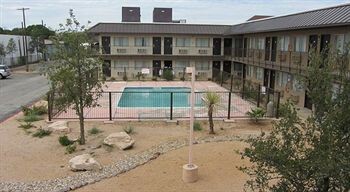 This motel is within the vicinity of Parker House Museum and Globe of the Great Southwest.Rooms Make yourself at home in one of the 125 guestrooms featuring refrigerators and flat-screen televisions. Complimentary wireless Internet access keeps you connected, and cable programming is available for your entertainment. Conveniences include microwaves, and housekeeping is provided daily.Rec, Spa, Premium Amenities Take advantage of recreation opportunities such as an outdoor pool, or other amenities including complimentary wireless Internet access and tour/ticket assistance.Dining A complimentary continental breakfast is included.Business, Other Amenities Featured amenities include a 24-hour business center and laundry facilities. Free self parking is available onsite.